As a yogi, manoeuvring in modern society, I have had many clients confess to their intimidation of the word. Often meditation conjures up images of crossed-legs draped in light florescent orange clothing. Many fear that meditation requires them to sit perfectly still in hollowing spaces holding awkward poses humming languages they can’t understand, for hours at a time. While this is a familiar and effective portrait of meditation, it is certainly not the only form. Meditation in its simplest definition, is learning how to tackle mindfulness. Meditation teaches us how to control our thoughts; how to put good karma into the universe. With meditation we learn how to get good results from good thoughts. Meditation is as diverse as we are. If you aren’t the kneel or sit type of meditator, try sensory meditation. Do you naturally acknowledge the beauty around you? Are you drawn to nature scents, like the smell of fresh air, or the blue sky, or the colours of a rainbow? Sensory pleasures are wonderful! They keep the mind fresh and alert. Our senses often draw us fully into certain moments or memories. Senses stimulate the mind. They are also a beautiful way of meditating. Service is also a form of meditation. The goal of meditating is to feel good and focused. What better way to achieve both than by helping somebody? Your mind will shift automatically, when you serve someone else. You lose self-doubt and feel worthy of self-actualization, because it is no longer about you. Practicing this way of mindfulness will make you feel more serene. Try to always stay open. Become a student. Sing a new song. Do a new dance. Learn a new trade. The practice of learning will expand your mind and your capabilities. This will focus your mind on positive things. Chanting or repetitive singing can help to soothe the spirit and the constant reframe can lead to deeper awakenings for many. 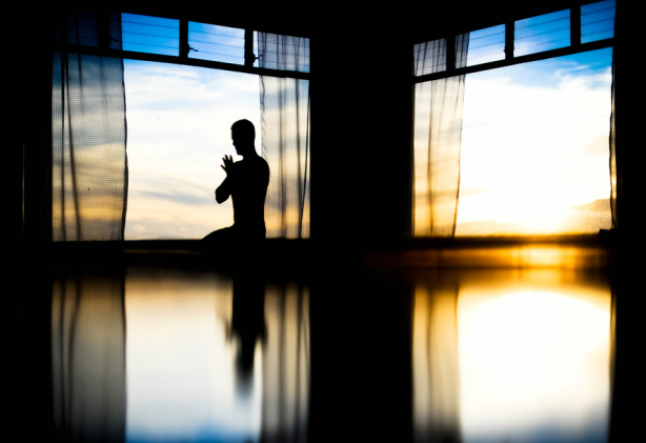 Breath meditation also uses a repetitive system of breathing to create a calming effect on the body and soul. These focused meditations are great at providing guided practices for those seeking more structured meditation. There are limitless ways and meditative practices. Take time in life to do your homework. Find a practice that suits you and your personality. Remember, meditation should be a pleasurable experience. The key to making meditation effective and enjoyable is consistency. Practice makes perfect. This doesn’t mean you need to approach meditation rigidly. Your meditation doesn’t have to be a set routine. Each breath in our lungs, as is, each day of our life, is different. We experience different moods and seasons in life. These changes require us to be fluid. Your meditative practices need the same liberty. One day you may meditate this way, at this time and tomorrow another. That’s ok. As long as you are constantly working on your spiritual growth, you are on the right path. So have fun and change it up. Each day radiates a different shade of light. Mindfulness, will eventually translate into a re-training of the brain and sharpening the inner mind. Don’t be afraid to calm down, jump in and go deep. Meditation is all about the creative. It isn’t a task to be dreaded; it’s a tool to be used. The results are fruitful and tangible. Meditation will translate into every moment, every movement of life. Once you free the mind, you will truly begin to live! So, go on meditate. Any and all forms of meditation seek to create more space in the mind. It helps rid the chatter in our heads. When we silence the world voices in our heads, we can clearly hear from the source within. It is ironic that we quiet the mind, so that we can get instructions on how to roar and thunder. We sit, so that we may learn how to dance like the naked skies. The universe has a total sense of humour.